You may have heard the stories or may have even “seen” them with your own eyes. Mythical creatures have always held a fascination for some people. It is the unknown element about them that makes people chase after them. Folklore and legends have sprouted from these mythical creatures, and to this day, some people from different cultures still believe in their existence. 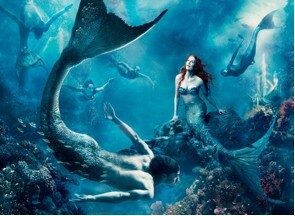 Mermaids are known to be beautiful creatures with long flowing hair—upper half of the body being a human’s and the lower part being a fish’s. The explanation for mermaids in real life are dugongs. Underneath the water, and depending on the lighting, they can be seen as human-like creatures because of the orientation of tales made about them. 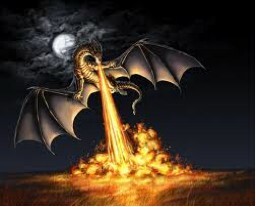 What inspired the tales about dragons are most probably the remains of dinosaurs and crocodiles which may look like mythical beings to the first people who unearthed them. More particularly, the Megalania is an ancient relative of the big lizard called the Komodo dragon which can grow up to 26 feet! It is truly worthy of being classified as a creature worth of myth and legends. The kraken is a mythical creature which, like mermaids, dwells in the seas. Unlike mermaids which can be seen in smaller bodies of water, the kraken is something that only fishermen out in the ocean know of and claim to have seen. It is a big sea monster with tentacles strong enough to break fishing vessels. The actual explanation? This monster is a giant squid and it actually exists. Just recently, a colossal squid was discovered in the Southern Ocean and it is even bigger than the giant squids. It has a much huger beak and suckers with sharp hooks that can really do quite a lot of damage to anyone who gets in its way. A mythical tandem from Greek mythology, Scylla and Charybdis are monsters in the Straits of Messina which were said to have been seen by the hero Odysseus. Charybdis, in that area, is actually a whirlpool but is not big enough to be a monster. The rocky shoals nearby may have inspired the thought of the monster Scylla. Although these mythical beings are debunked, the real life explanations are still pretty cool!